The pace at which our Intelligent Buildings industry has evolved, thanks to software innovation, is impressive considering our siloed past from the rest of the enterprise. Closed proprietary protocols are giving way to new open standards of operation that enable the rapid development and consumption of newly introduced technology to our market. Nevertheless, software innovation is really only half of the story in driving new levels of intelligent building performance. All too often new products are sold through overzealous promises made by sales people who are mainly motivated by their commission structure. Unfortunately for most building owners, the net result is one of being over sold and under delivered. In the enterprise, this means the solution doesn’t make it past user acceptance testing. In other words, the two year ROI you built your business case on, is still sitting on the shelf, and collecting dust. Doubling technology processing power every eighteen months, as Moore’s Law suggests, doesn’t necessarily establish new thresholds of industry transformation. The real issue is one of solution alignment. As the level of business needs and technology requirements increase in sophistication, so does the complexity of the sale. What was once a mere product transaction has evolved into a classic consultative sale. Success now often depends on IT’s buy-in, procurement’s approval, facility’s and possibly numerous other top executives nodding with the go ahead. In other words, a decision making process marked with multiple levels of acceptance based on a seemingly divergent set of needs and requirements. The consequences associated with failed (oversold/under delivered) adoptions of innovative software are not only communicated throughout our industry, but they also instill skepticism toward all future innovative solutions as nothing other than vaporware and empty promises. Like the building automation industry’s version of the movie, Groundhog Day, we seem to be stuck in a recurring cycle of innovation, failure, skepticism, latent demand growth, reeducation and back again with oversold innovation. We need to take the discussion away from simply focusing on innovation as the driver of change and push the argument towards adopting sophisticated solution selling approaches as the necessary glue to stick all the required business and technical pieces together. As the needs of the intelligent building buying motives evolve in complexity, so does the need to REvolutionize our approach to sales. If the deal is shaped right, this leads to a higher likelihood of successful solution adoptions, and innovative transformation. Shaping an opportunity starts with embracing the core principles of Dr. Covey. The following 7 Habits embody the essence of exceptional selling. They’re timeless and always applicable to every solution intervention. How is it though, that such simple objectives can be so evasive and difficult to use? Matter of fact, I still attend client discussions in which the prescription was written long before the diagnosis was made. As we know in some walks of life, this would be considered malpractice. I’m going to strongly suggest that we invoke a Stop, Look and Listen code of client ethics that we agree to apply from this point forward. Helping our clients succeed needs to be our mantra. We must embody the undeterred intention to ensure we assist our clients in achieving the results we claim our solution will deliver. 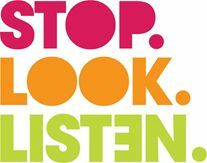 Stop, Look and Listen, coupled with Covey’s 7 Habits, lay down the foundation of all exceptional solution selling models. However, we all know that there exist countless sales methodologies that advocate techniques for selling solutions. Some tell you to “Spin” this, Pain Chain that, get to Power here, buzz word there, etc., etc. All in an attempt to break with the old ways of selling “stuff” by encouraging us to embrace a more modern method of positioning solutions in place of products. Honestly, they’re all right, to a degree. Nevertheless, to over complicate the sales experience for the client is akin to working with a satellite provider. It’s a pain in the …! The ART of good selling is simple. Seriously, it’s simple. When decision makers are seeking a solution (noticed I said, WHEN they are seeking a solution), they want to be guided by an expert. In turn, that expert needs to be schooled in the process of facilitating good decision making on behalf of the client, i.e., solution selling. Nonetheless it’s imperative though, that the expert leads by intent, not technique. That is, by embracing a commonsense approach to enablement. What would you expect if you were on the other side of the table? Would it be a sales guy pitching you the latest technology product, or an expert who’s not trying to sell you a particular thing, rather enabling you to shape an optimized solution for your business?